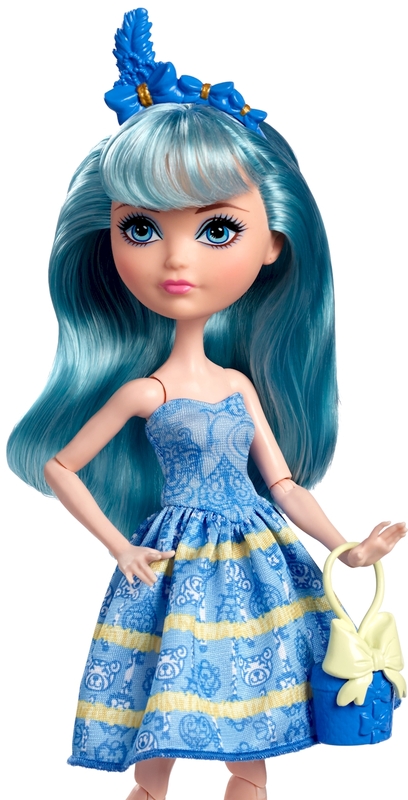 Blondie Lockes doll looks fableous in a dessert-themed party dress. The daughter of Goldilocks completes her birthday look with accessories inspired by her fairytale heritage and personal style. A fashionable headpiece and birthday gift-themed purse are the perfect touches to spellebrate the special occasion. Pick your favorite Ever After High character to celebrate a birthday or collect them all for the biggest birthday bash ever after!